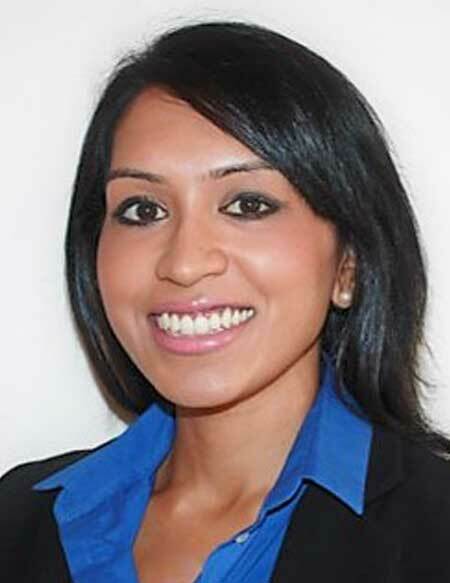 Dr Darshika Christie-David is an experienced endocrinologist and specialist in the treatment of infertility. She graduated from the University of New South Wales with a Bachelor of Medicine, Bachelor of Surgery (MBBS) with first class honours. Dr Christie-David completed training at Liverpool Hospital and was awarded the Ian Webster medal for outstanding performance. She completed physician training at Concord Hospital and specialist training at Westmead Hospital to become a Fellow of the Royal Australasian College of Physicians (FRACP). Dr Christie-David accomplished a Master of Medicine, Reproductive Health Sciences and Human Genetics (MMed(RHHG)) at the University of Sydney. Dr Christie-David is a staff specialist endocrinologist at the Royal North Shore Hospital and the Northern Beaches Health Service, and VMO endocrinologist at the Northern Beaches Hospital. Dr Christie-David has clinical expertise in managing all areas of endocrinology, including polycystic ovary syndrome (PCOS), thyroid problems, obesity, pre-diabetes, pre-implantation genetic diagnosis (PGD) and screening (PGS), and andrology (male reproduction). She is warm, compassionate and patient, providing an evidence-based individualised approach to patient care. Dr Christie-David is a clinical associate lecturer at the University of Sydney where she us involved in undergraduate teaching, specialist and subspecialist training for advanced trainees. She is the co-chair of the Diabetes & Endocrinology Network in Northern Sydney Local Health District (NSLHD). Email [email protected] or call 1300 879 399 to make an appointment with Dr Christie-David.